An elegant conjurer of interconnected tales, a genre-bending daredevil, and master prose stylist, David Mitchell's new novel, The Bone Clocks, crackles with invention and wit. An elegant conjurer of interconnected tales, a genre-bending daredevil, and master prose stylist, David Mitchell has become one of the leading literary voices of his generation. His hypnotic new novel, The Bone Clocks, crackles with invention and witit is fiction at its most spellbinding and memorable. Following a scalding row with her mother, fifteen-year-old Holly Sykes slams the door on her old life. But Holly is no typical teenage runaway: A sensitive child once contacted by voices she knew only as "the radio people," Holly is a lightning rod for psychic phenomena. Now, as she wanders deeper into the English countryside, visions and coincidences reorder her reality until they assume the aura of a nightmare brought to life. For Holly has caught the attention of a cabal of dangerous mysticsand their enemies. But her lost weekend is merely the prelude to a shocking disappearance that leaves her family irrevocably scarred. This unsolved mystery will echo through every decade of Holly's life, affecting all the people Holly loveseven the ones who are not yet born. A Cambridge scholarship boy grooming himself for wealth and influence, a conflicted father who feels alive only while reporting on the war in Iraq, a middle-aged writer mourning his exile from the bestseller listall have a part to play in this surreal, invisible war on the margins of our world. From the medieval Swiss Alps to the nineteenth-century Australian bush, from a hotel in Shanghai to a Manhattan townhouse in the near future, their stories come together in moments of everyday grace and extraordinary wonder. Rich with character and realms of possibility, The Bone Clocks is a kaleidoscopic novel that begs to be taken apart and put back together by a writer The Washington Post calls "the novelist who's been showing us the future of fiction." The Bone Clocks is a powerful reflection on the ravages of time, be they on our own bodies (our bone clocks) or on the larger things that mold us into shape: family, friends, the environment. Life, one realizes, might be the stage where our drama unfolds, but the end result reminds us about what truly matters. (Reviewed by Poornima Apte). [The Bone Clocks] grounds Mitchell’s vast intellectual ambition in real heart and character. Mitchell returns to the genre-skipping, globe-trotting, techno-spiritual ambitions of his astonishing Cloud Atlas, taking even greater risks at even greater length. Editor’s Pick. Curiouser and curiouser . 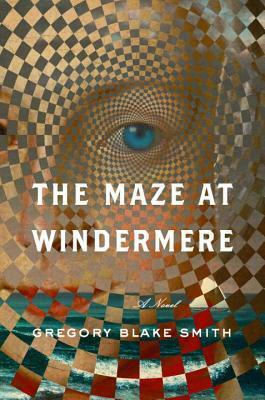 . . mind-bending, interlocking tales that are reminiscent of a (very) adult version of Alice in Wonderland . . . [The Bone Clocks] won’t disappoint. Starred Review. From gritty realism to far-out fantasy, each section has its own charm and surprises. With its wayward thoughts, chance meetings, and attention to detail, [David] Mitchell's novel is a thing of beauty. Starred Review. Trademark Mitchell . 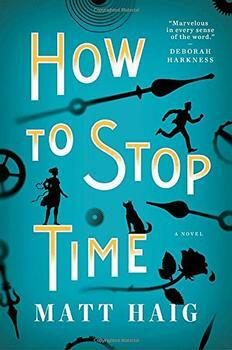 . . another exacting, challenging and deeply rewarding novel from [the] logophile and time-travel master. If you can imagine the austere literary prowess of Ian McEwan married to the storytelling gifts of J.K. Rowling, you will begin to approximate David Mitchell. There’s no real argument: he’s the best novelist of his generation—and the most fun. The Bone Clocks is a stunning work of invention, incident, and character. The levels of awesome in this book are off the charts. In the fight between the Atemporals and the Anchorites, The Bone Clocks frequently references the Cathars. A richly layered novel of love, ambition, and duplicity, set against the storied seascape of Newport, Rhode Island. A love story across the ages - and for the ages - about a man lost in time, the woman who could save him, and the lifetimes it can take to learn how to live.